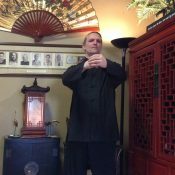 Our complete curriculum of Authentic Tai Chi online classes was created and is taught by Sifu Michael Paler, 7th Generation Lineage Holder of Imperial Yang Family Tai Chi. Sifu Michael has been teaching the art of Tai Chi Chuan for 30 years. He also offers his online students the additional opportunity to gain personal hands-on training in a classroom setting at our school, The Tai Chi Association of Colorado Springs. You are also welcome to attend one of our many workshops, as well as our Annual Tai Chi Mountain Retreat. In addition to owning and teaching full time at his Colorado Springs school, he also offers this complete online curriculum, which is perfect for beginner to advanced levels of learning, and for long-distance students. Sifu Michael is also involved in teaching at the U.S. Olympic Training Site, where he helps the athletes use their bodies more effectively by incorporating Tai Chi principles into their routines. 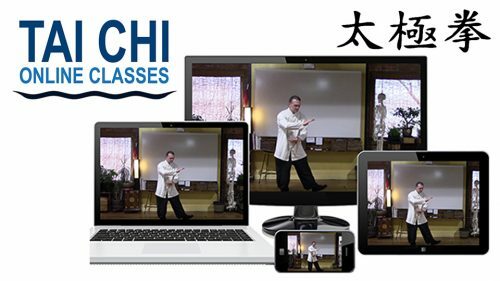 How do Tai Chi Online Classes work? To get started visit our website www.taichionlineclasses.com, then choose the right package for you. We offer two packages: 1) A monthly package that can be canceled anytime, or 2) An annual package good for one full year. After you choose your package, you will be asked to create a username and password that you will use to log into the site. You will be able to access and stream your online videos anytime, anywhere, and at your own convenience. The first month you will receive 9 online videos. Included in these first 9 videos will be The Tai Chi Stretch and Warm-Up Exercise and the first 3 movements of the Yang Family 108 Form. Every month after that, you will receive an additional 9 videos. These videos accumulate as the months go on, and you can access them anytime you want — as long as your package is valid. Our online learning course now has over 100 instructional and informational videos ready to view. If you choose to continue on into the second year with us, Sifu Michael Paler will be teaching you new exercises like The Tai Chi Ball Form. This form will further your Tai Chi skills and also add a little weight to your daily practice. You will learn some 2-Person Balance and Energy Drills that will allow you to put your Tai Chi forms practice to the test. You will additionally learn some Tai Chi Staff Exercises, as well as the complete Yang Family Tai Chi Saber Form. In our Tai Chi Online Classes, we teach a complete system of authentic Yang Family Tai Chi. This is not just a follow-along class. 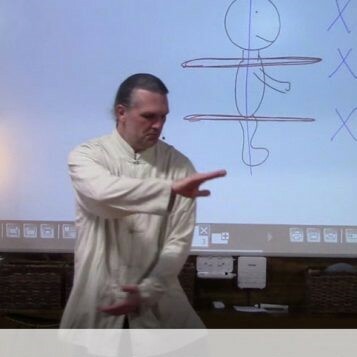 Sifu Michael starts you off by teaching you the first and most important elements of Tai Chi starting with the, Tai Chi Stretch and Warm Up (Jibengong) and the Tai Chi Joint Opening Exercise (Kaimengong) exercises. These important exercises create the open relaxed “Tai Chi Body” you will need when moving forward in your practice. In fact, they are so beneficial to your health that we recommend doing them every day for the rest of your life! Every month Sifu Michael teaches you important details for your learning success. He systematically breaks down each and every Tai Chi movement of the Yang Family 108 Form, as he shows you not only the how, but also goes into great detail about the why as well. First you need to understand what authentic Tai Chi IS, and what authentic Tai Chi IS NOT. Authentic Tai Chi IS an internal martial art that can be done into your 90s and beyond. It was designed to generate relaxed natural power using soft circular movements. These Tai Chi movements are very specific, each and every one of them. You cannot generate the power and health you desire in Tai Chi if you do not apply each of the 10 Essential Principles with every movement. This is why we spend so much time and effort working on this part of the practice alone. Learning the 10 Essential Principles systematically changes and rearranges every part of both your inner and outer body, thereby creating a healthy open body that energy and power can flow through. This is the primary focus throughout all of the movements. These movements are never rushed through. We practice then slowly and with purpose, and they should be practiced daily. Authentic Tai Chi IS NOT only an aerobic exercise and can not be used in that way alone, Tai chi requires knowledge of important principles in order to receive all the health benefits, however when done correctly, it does offer amazing aerobic benefits and is wonderful for your cardiovascular system, even helping to burn many calories. It is not a high impact exercise,so be very careful joining any Tai Chi classes that make this claim. Authentic Tai Chi cannot be modified or changed in any way. It is a martial art. If it has been changed or modified, it is no longer authentic Tai Chi. Authentic Tai Chi is also NOT anything like Tae Kwan Do, Karate, or any other hard or forceful external martial art. It is not a pretty dance, although when done correctly, it is beautiful to watch. Tai Chi is not anything like yoga. We are not stretching our muscles or twisting our structure. Instead, we are releasing tension while practicing mindfulness. Tai Chi involves connecting muscle, through relaxation, to the fascia and connective tissues — to be used for power. The Tai Chi “form” is just the vehicle we use to practice Yang Cheng Fu’s 10 Essential Principles. The form is not the main focus; the principles are. We do not practice leaning (imbalance) in different directions in authentic Tai Chi; our focus is on balance and structure. We do not use our knees to store energy or carry weight; they are weight-transferring joints, not weight bearing. So, do your research and know what you are getting into when considering starting to learn Tai Chi. Ask yourself, “Is this REALLY authentic Tai Chi, or just some spin-off fad? ”Our focus and goal in authentic Tai Chi concentrates on the important health building principles that create the Tai Chi Body. We want you to get all the health benefits that Tai Chi has to offer. Dont wait. Start learning authentic tai chi today!